So you spent a jillion dollars a yard on some fancy-dancy ribbon for your costume? Bad news – it will only ever look like ribbon… Unless you layer it. Here’s some great ribbon. 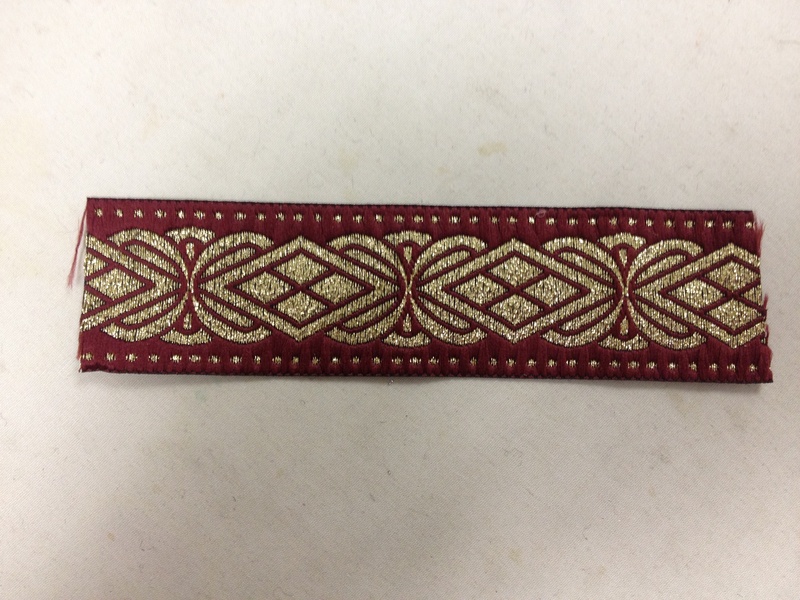 Actually, here’s the backside of a ribbon, which happens to be slightly cooler than the intended side. 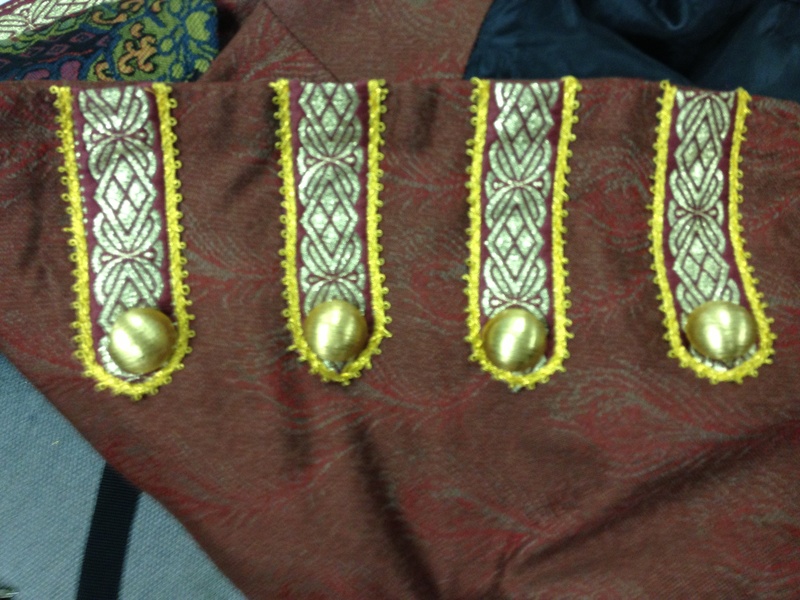 I plan to use it like this, a la the frock coat festooning style. Notice how it looks kinda like a ribbon with a folded edge? 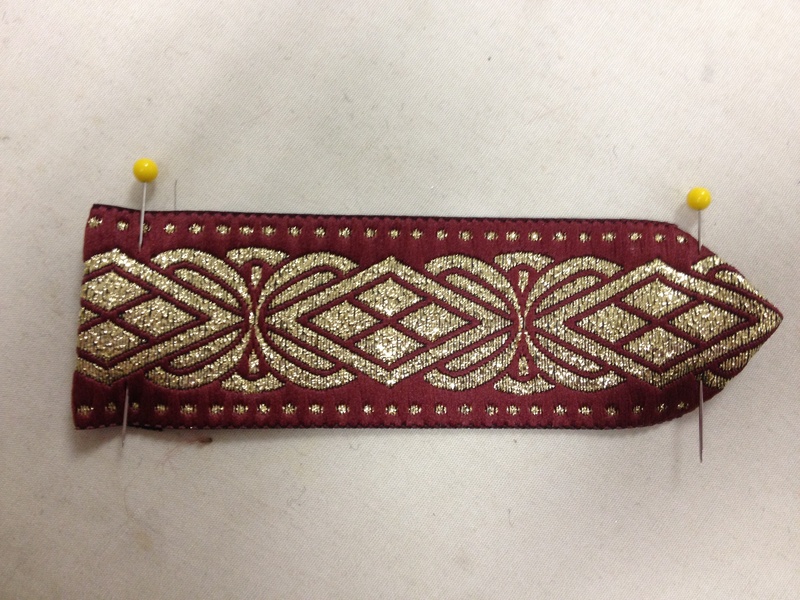 Unless, of course, you sew it down in combination with a little picot edge ribbon. Keep layering until it looks real. Buttons added – between the three colors of gold and they different textures, we have something that looks less than mass manufactured. I do that all the time. Layer one on top of the other, put some piping on the sides, and voila! 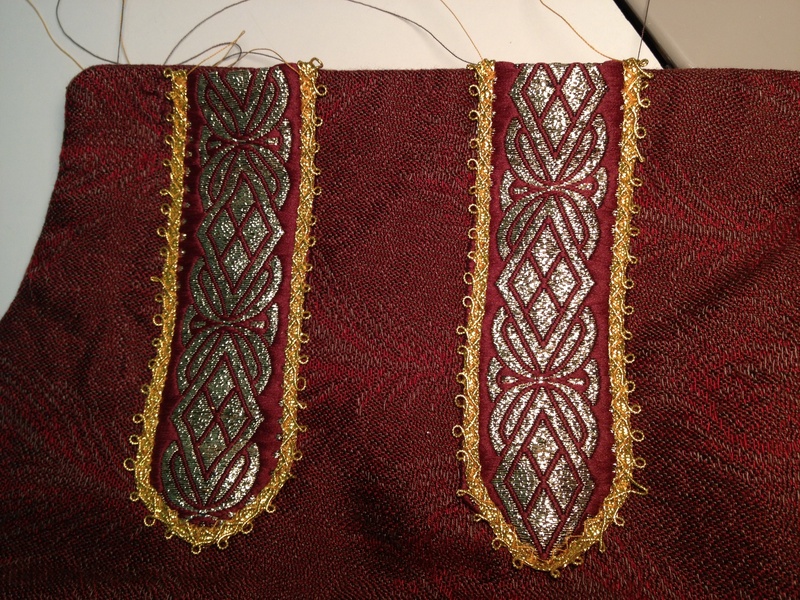 I find this a very easy way to make very spectacular tabs for shoulders and waists for Elizabethan style.